Veronica "Ronnie" Miller is being forced to spend a summer in Wilmington, North Carolina with the father that walked out on her family. She detests him, and wants absolutly nothing to do with him. It's been 3 years since she has last spoken to him, and she doesn't plan on doing so now. It's out of her hands though, because her mother has made the decision to send both Ronnie and her younger brother Jonah to visit with him, and now Ronnie has to deal with it. Ronnie usually spends her time hanging out at the clubs of New York City, and when she's forced to a town where the only fun you can have is fishing and surfing, she's bummed. She doesn't fit in with the people around here, and knows this will be the worst summer of her life. On the brighter side, she's met Blaze, a misfit just like her, but will their friendship last throughout a summer filled with drama, violence, and grief? It's been a long time since I've picked up one of Nicholas Sparks' novels, and I'm kicking myself for it. This novel has to be one of the best that I have read this entire year. It was not only filled with a heart wrenching story of father and daughter, but a love story that will have you sighing with pleasure. I honestly had a hard time putting this book down, and am actually quite sad that I even had to finish it! This was one of those books that I wish would just go on forever, so that I could continue to read the story of Ronnie. I cried multiple times during this novel, for reasons that you will understand when you pick up this novel. Ronnie's character is driven by her emotions, and you can feel each and every one of those emotions emanating from the pages. I personally felt for her each and every step of the way. This was the third novel I have read by Nicholas Sparks, and I'm more than positive that it will not be the last. In the past I have read The Notebook, and Message in a Bottle, and both of those stories were just as passionate and full of emotion as The Last Song. I have a special place in both my heart and my bookshelf for Sparks' work, and am delighted that I was given a chance to review this novel. 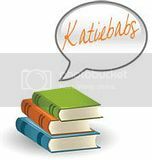 Thank you Miriam Parker from Hatchette Books for allowing me to review this book, it has been an absolute pleasure. Thankfully we can also look forward to a film production of The Last Song, coming January 2010. Miley Cyrus will be playing the character of Veronica Miller, and I'm interested in seeing how well she portrays her. I'm more than thrilled to be reading about this on Sparks' website, and can't wait to see the novel played out on film. 1. Miley Cyrus chose the name Ronnie for the main character. 2. Nicholas Sparks wrote the screenplay before he wrote the novel. 3. 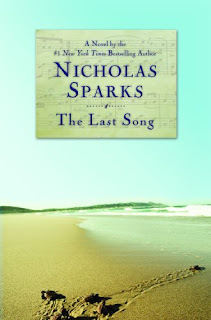 The Last Song is the longest novel that Sparks' has ever written. 4. The Last Song is both a love story and a coming of age novel. If you haven't read any of Sparks' work, I highly recommend it. Make sure you have a steady supply of tissues on hand as well. I have read a lot of Sparks and find this one sounding really good. How interesting that this is his longest book! I love Nicholas Sparks. So far my favorite is A Walk to Remember. Can't wait to read this one! I enjoyed this book, too! I saw a couple of youtube videos taken on the set of the movie and I just don't see Miley as Ronnie (even though it was written for her). I guess I'll just have to wait and see when the movie comes out. I absolutely love his books, but am surprised this one got passed me. Glad to know you enjoyed it so much. I'll be on the lookout for a copy at the library. I love Nicholas Sparks. I even went to see him speak with he visited KC. I got his autograph and a picture. :) I can't wait to read this book!! This is the first Nicholas Sparks book that I read and after reading it I had such a headache from the constant stream of tears! It's very touching and I’m looking forward to reading other Nicholas Sparks books. I'm so glad you enjoyed it! I too had a headache afterward...crying takes a lot out of you, especially when your crying so hard! It was a very emotional book. Thanks for stopping by and commenting about how you felt!